Heading into the cold winter months, I always expect two things: my skin is going to suffer from the effects of cold, dry air, and that my mood is going to need a lift sometime during those couple dreary months after the holidays end. 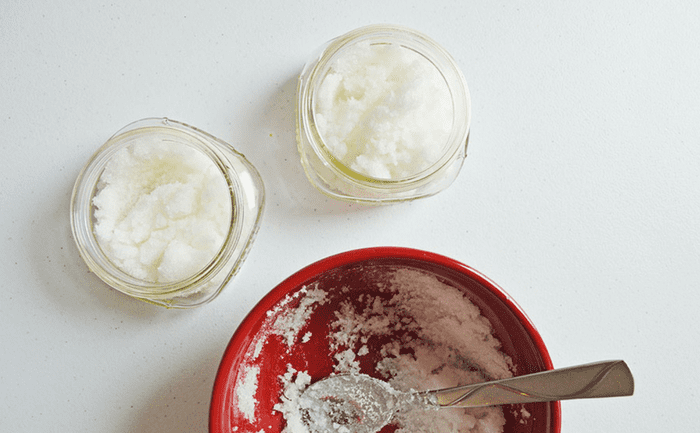 Not only do these homemade sugar scrubs help to get rid of that dry, flaky feeling by exfoliating dead skin cells from your body, but the coconut oil inside the scrub moisturizes, and the smell from the essential oil helps give you a little lift. 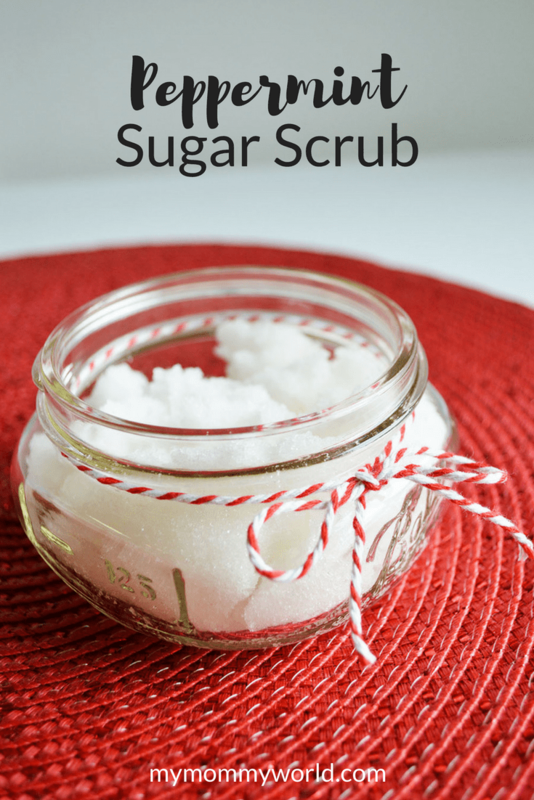 Sugar scrubs are also a great DIY holiday gift…they are inexpensive and unique too…plus I love giving gifts that don’t end up as clutter later on in the year! I’ve included some affiliate links in this post, which means that I will receive a small commission if you make a purchase through that link. 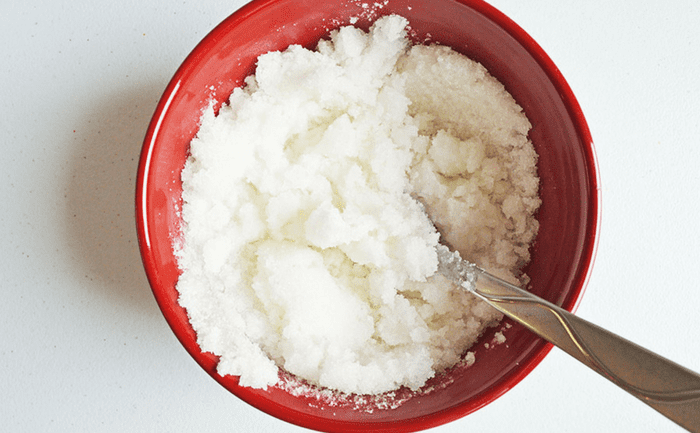 If you want to try making your own Peppermint Sugar Scrub this year, you’ll need just a few ingredients: coconut oil, sugar, and peppermint essential oil. 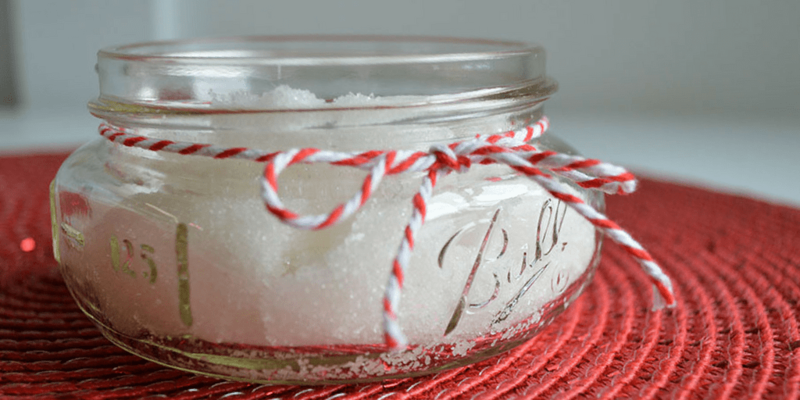 For gift giving, you may also want to purchase some pretty Mason jars in which to store the sugar scrub, and find some holiday-themed twine to tie around the top. 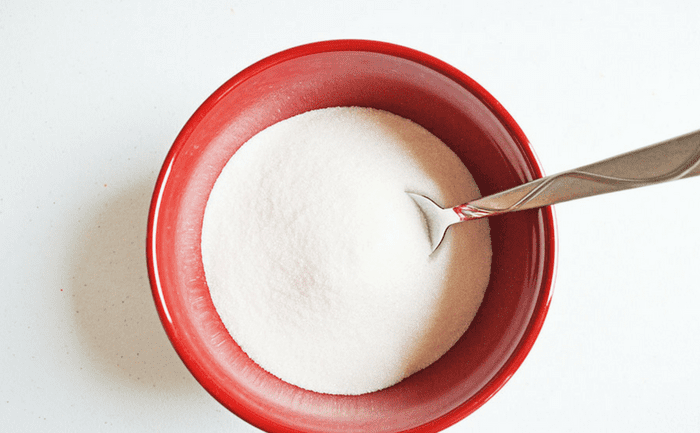 In order to make the Peppermint Sugar Scrub, start with some plain sugar in a large mixing bowl. Add the coconut oil to the sugar. 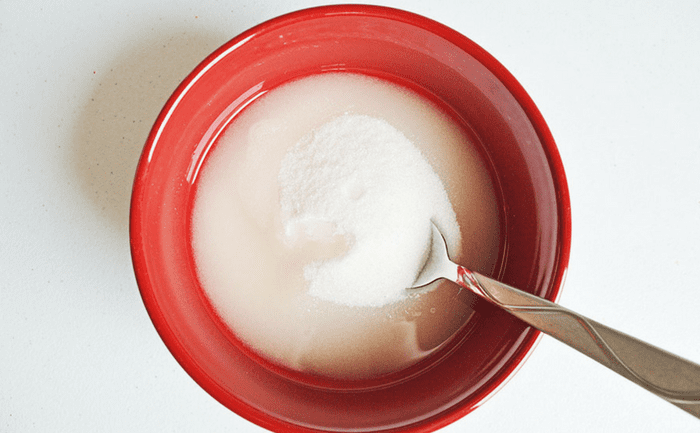 It’s a bit easier if you melt the oil in the microwave or on top of the stove before adding it to the sugar…that step only takes a few seconds, so watch to make sure you don’t overheat it. Add in your essential oil last, then stir well to combine everything. 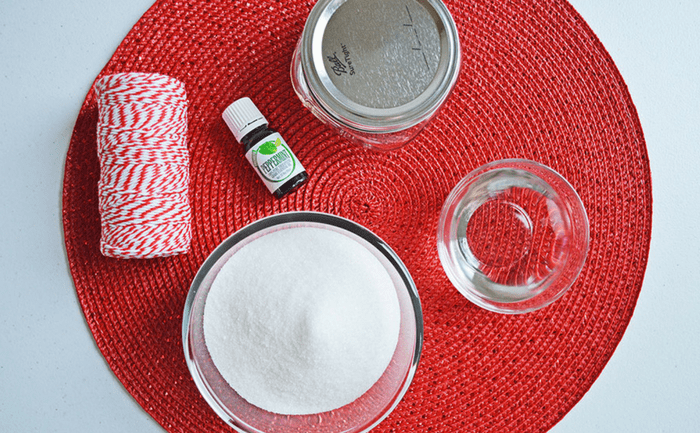 Spoon the Peppermint Scrub into your Mason jars, or any other air-tight container. Then all that’s left to do is to tie a bow around the jar, and you’re done! Just enter your name and email address below and I’ll send that to you right away. You’ll also be added to my email list. 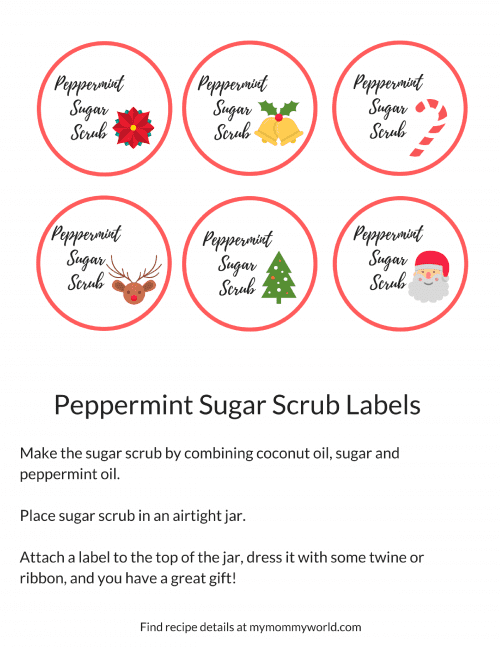 I hope you’ll enjoy making and using this homemade Peppermint Sugar Scrub! I love to make sugar scrubs and peppermint is one of my favorite scents. We’ve been having awful wind the last few days and my skin could really use this sugar scrub right now.